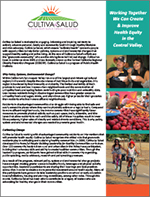 Cultiva La Salud is dedicated to creating health equity in the San Joaquin Valley by fostering changes in communities that support healthy eating and active living. 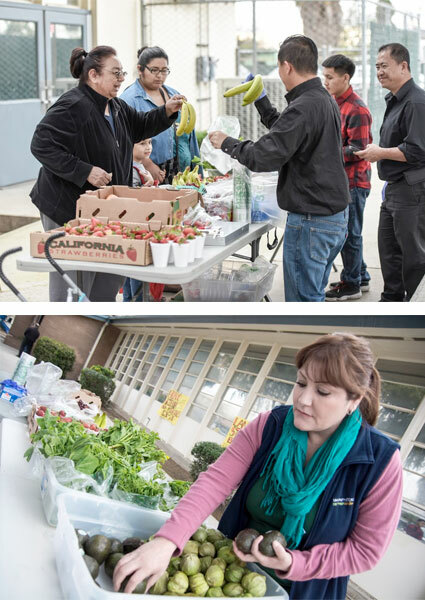 Cultiva La Salud is among a growing number of programs in the nation who use a policy and environmental change approach to help community members gain access to healthy food, beverages and safe places to be physically active. This unique program is being carried out by diverse partners in eight counties of the Central Valley (Kern, Kings, Madera, Merced, San Joaquin, Stanislaus and Tulare). At the core of Cultiva La Salud’s efforts, is the “grassroots community” who are the catalyst and reason behind real change in communities. 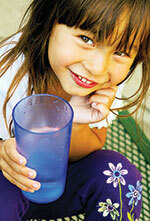 The program was developed in 2005 and is administered through the Public Health Institute. 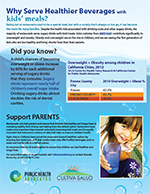 Cultiva La Salud is formerly known as the Central California Regional Obesity Prevention Program.